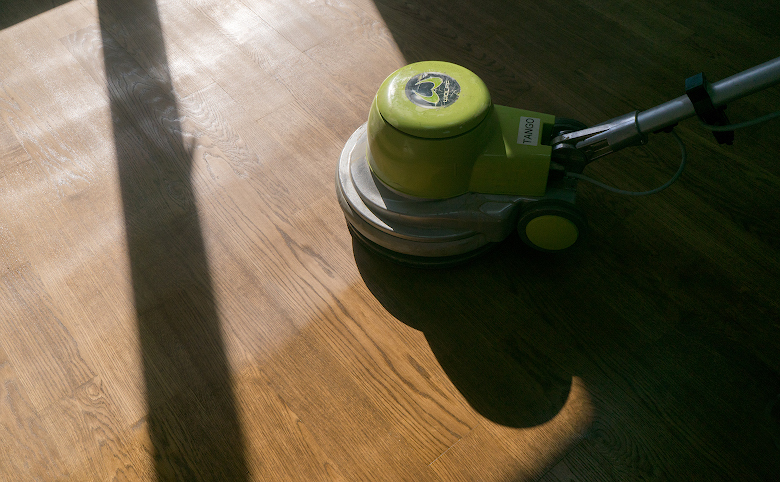 In 2017 we faced the challenge to create a toned lacquer finish with high wear resistance instead of the old and time-worn oil finish. 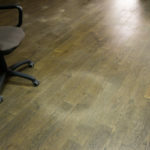 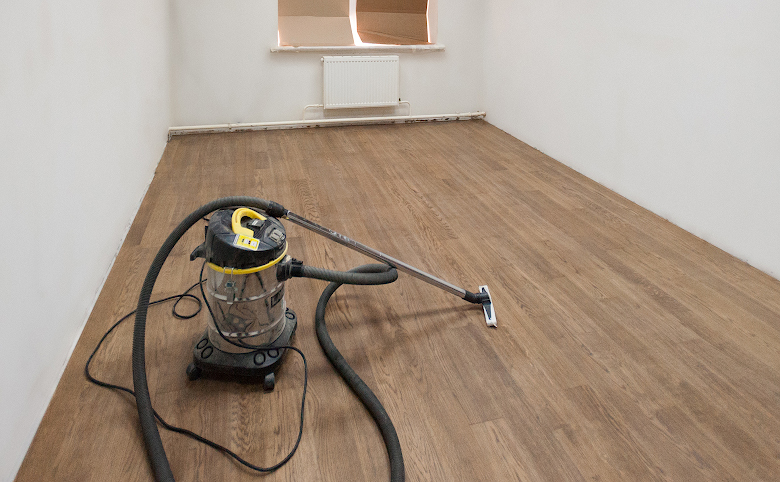 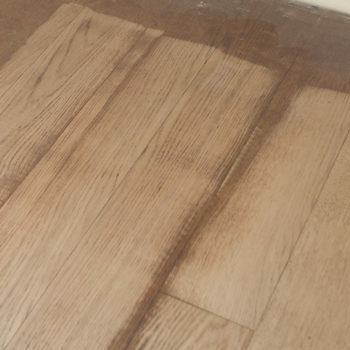 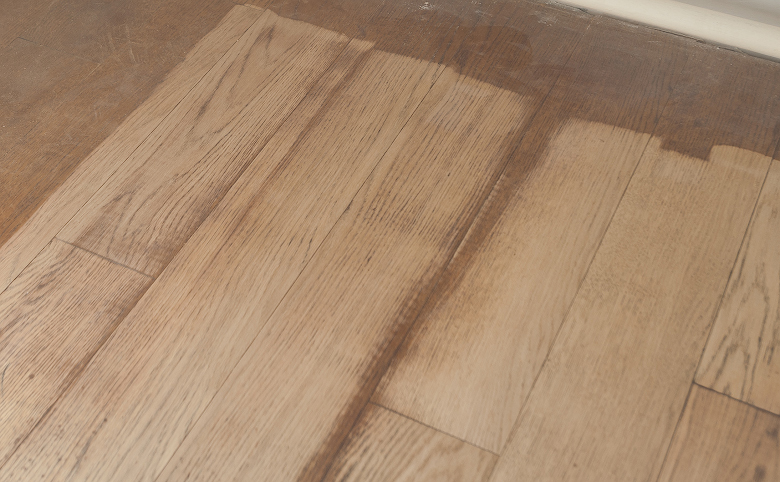 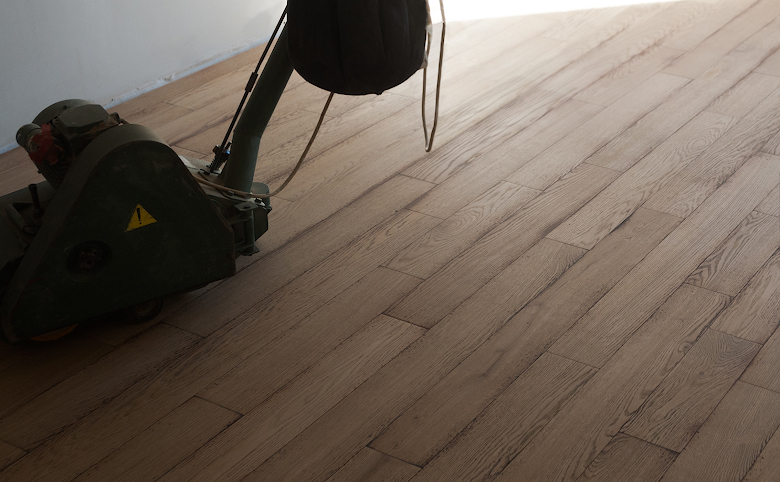 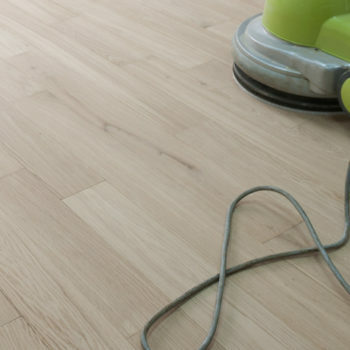 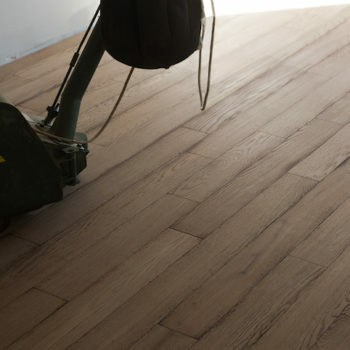 Coswick experts decided to re-sand the flooring, tone it, prime and apply two layers of lacquer. 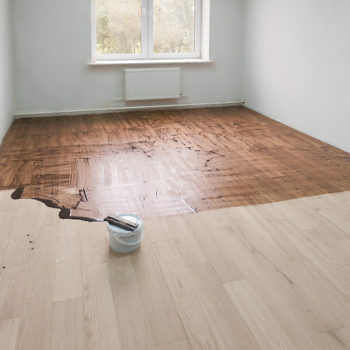 The aqua wood stain was used for toning. 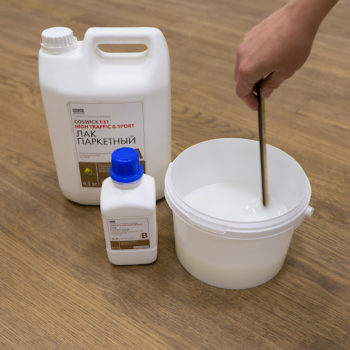 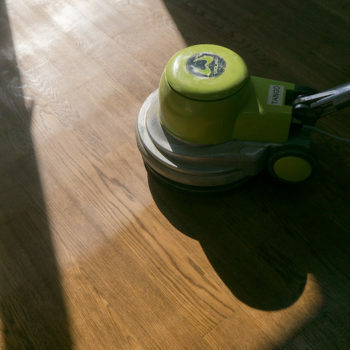 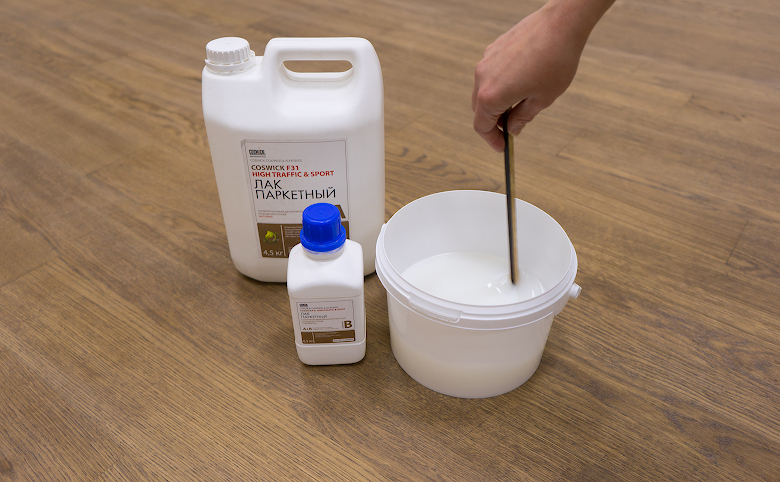 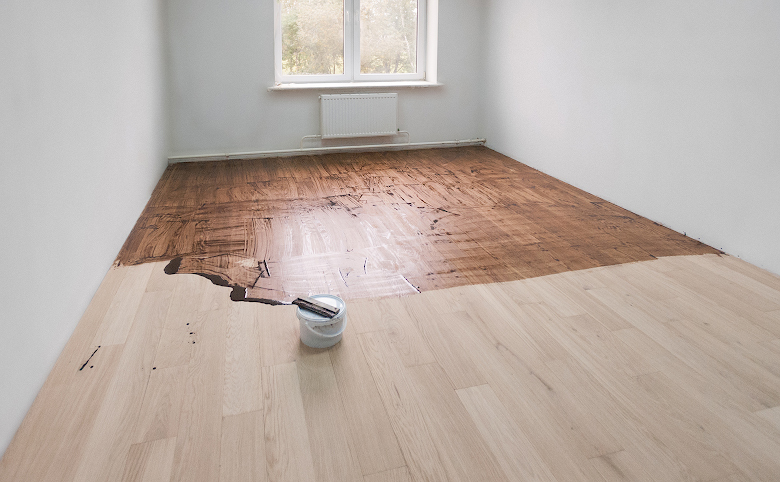 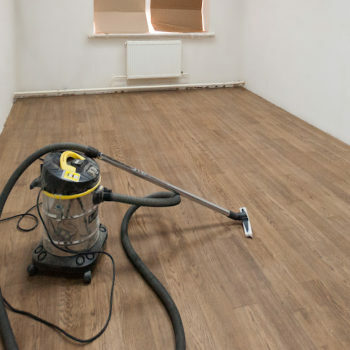 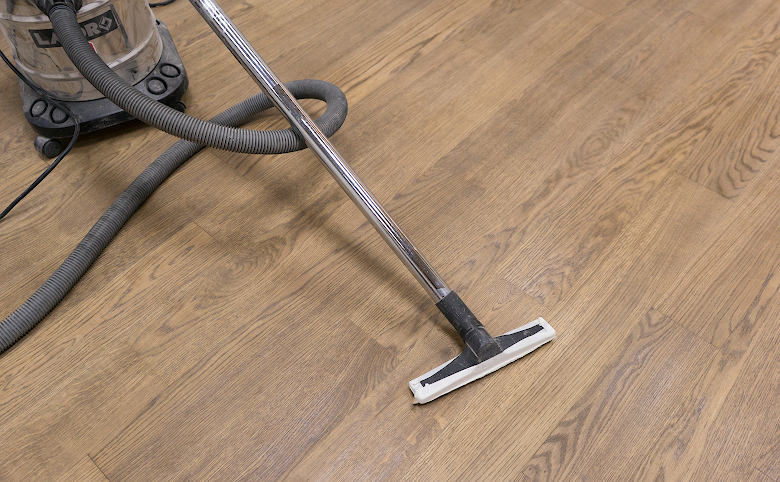 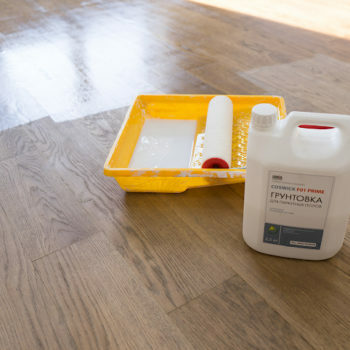 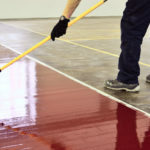 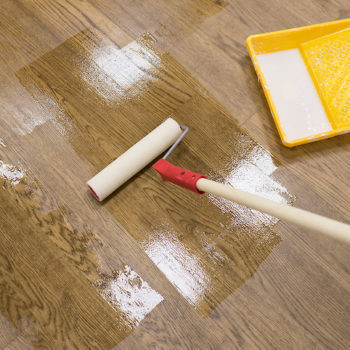 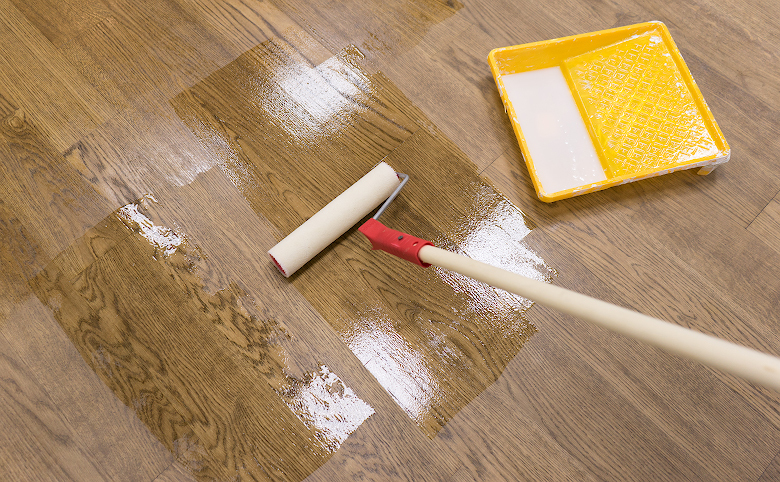 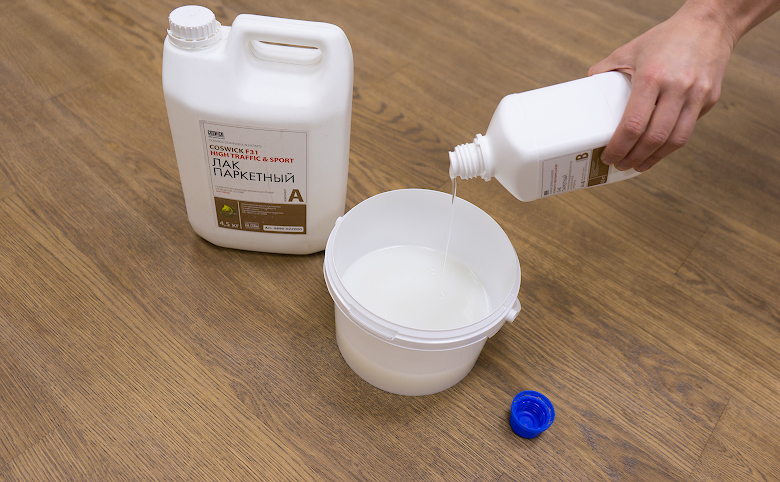 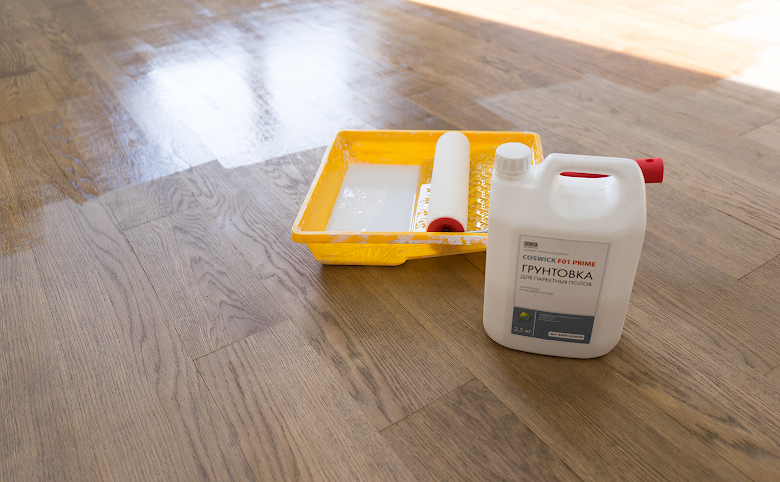 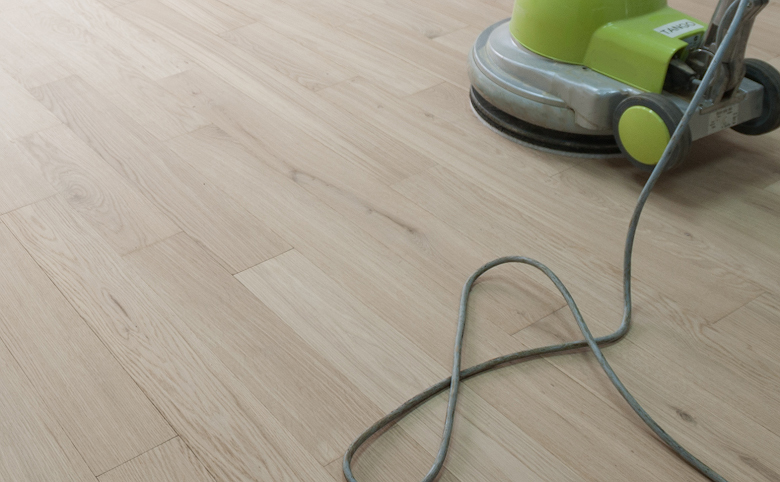 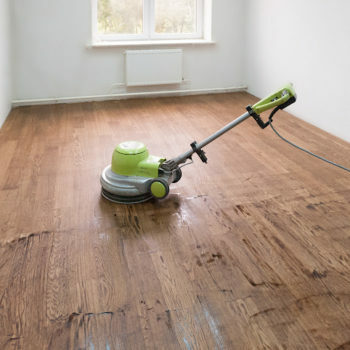 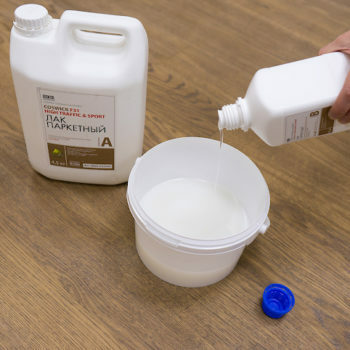 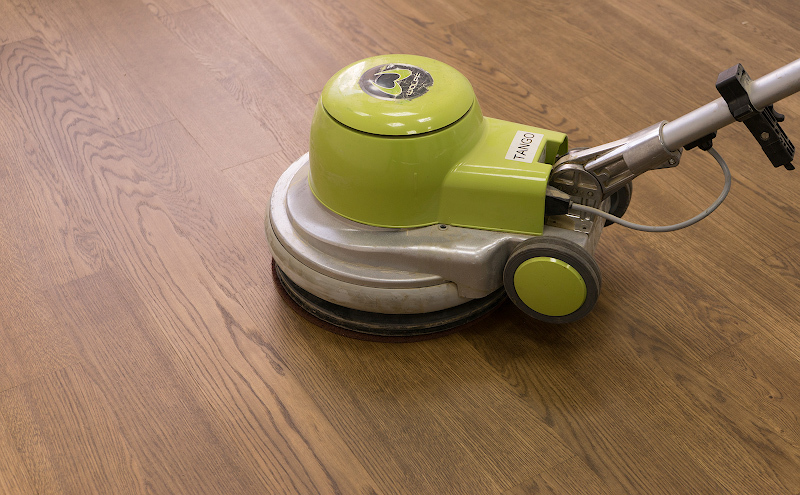 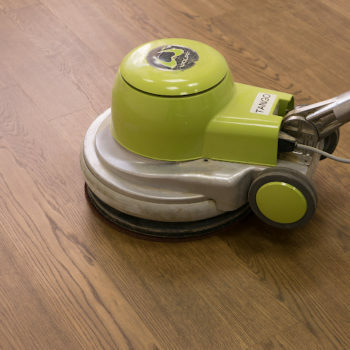 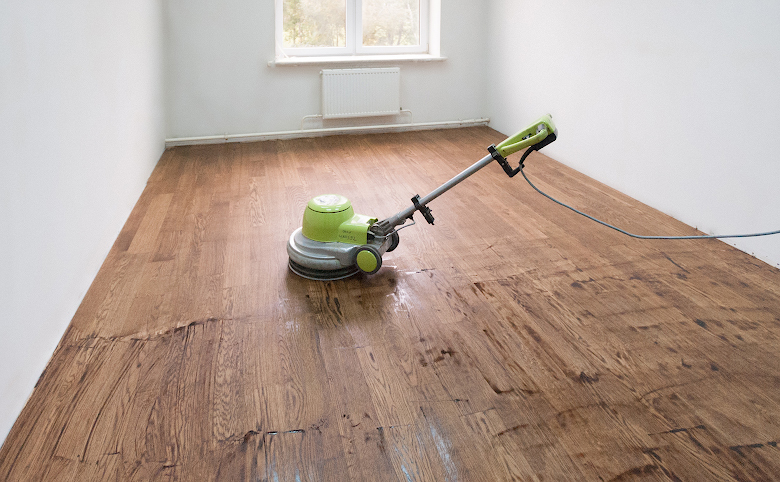 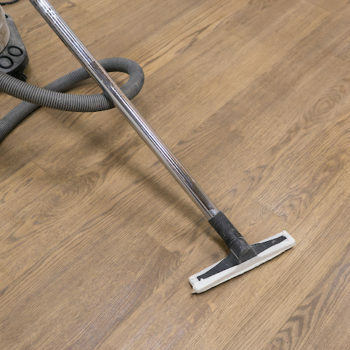 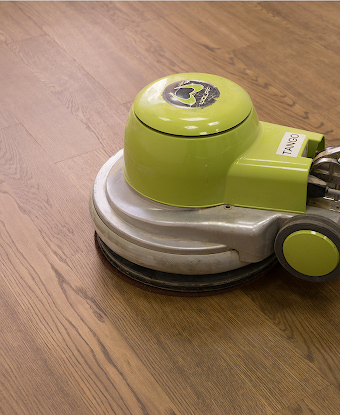 Coswick specialists also selected the water-based acrylic primer for hardwood ﬂoors Coswick F01 PRIME to prime the flooring while the water-based polyurethane 2K ﬁnish for hardwood ﬂoors F31 HIGH TRAFFIC & SPORT was used as a finish layer.